Because We Want You to Rent With Confidence! Rent Online or on the Phone. Peace of Mind Guarantee. We know you are going to love what you find! In the unlikely event you are not 100% satisfied when you arrive at our facility we will refund your money. 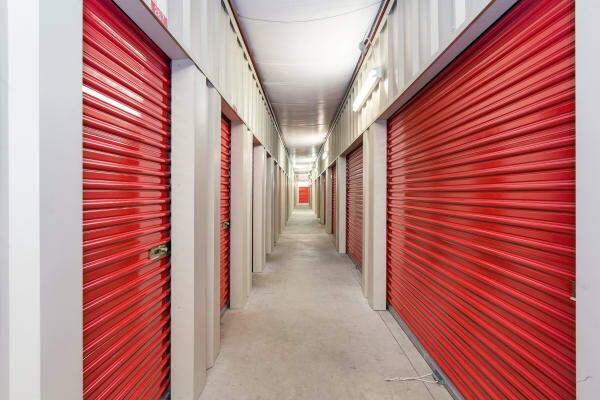 Our storage units at Storage Authority Mulberry Florida in Mulberry, FL, offer a wide selection of unit sizes for your convenience. Ranging from smaller units good for office materials to a unit the size of a garage, we have the right space for your needs. Not sure what fit will work best for you? Contact our onsite management today and they will be happy to assist you in your decision-making. Storage Authority Mulberry Florida is located at the intersection of Highway 60 and Highway 37 next to Walmart Supercenter in Mulberry. This location offers easy access to your belongings from both the Mulberry and Lakeland areas. Our modern facility is fully fenced with video surveillance to help you rest easy. Access 7 days a week means you can get to your belongings whenever you need them. Our electronic gate is accessible with the Storage Genie App, which makes getting in and out of our facility a breeze. The storage solution you are looking for is just a phone call away. We’d be happy to chat about your rental needs.